Protect your seat from little feet. The pop-open design maintains its shape providing full seat protection. 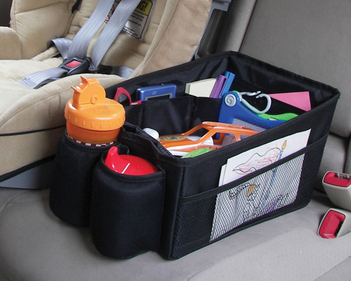 The large cargo pocket holds everything. 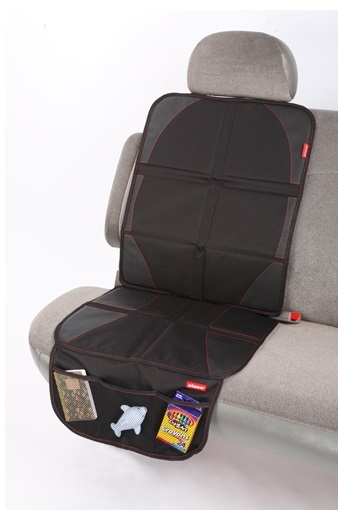 Fastens easily around any head rest and the adjustable lower tab secures it in place. Folds for easy storage in seat back pocket.